If you think social media is only about fail whales, think again: Facebook played a significant role in saving Clark Kent from death by kryptonite exposure in the April 23, 2009 episode of Smallville. This is the name given to Clark Kent in reference to the distinctive “red and blue blur” his primary-colored clothes leave in photographs taken of him saving residents of Metropolis at supersonic speed. In the scene when Facebook is mentioned, Lois visits Chloe Sullivan (her cousin) about the whereabouts of missing Daily Planet photographer Jimmy Olsen. 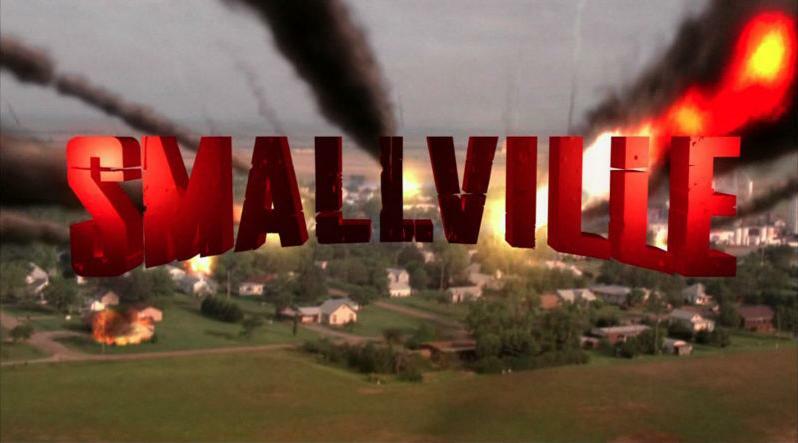 Notably, after getting married just a few episodes ago, Chloe and Jimmy abruptly divorced due to some key plot twists involving the appearance of Doomsday in Smallville. Audio clips and transcripts of the two key parts of the scene are provided below. Note that the volume of the clips might be low, so be sure to adjust your volume. Fortunately, Chloe’s revelation allows Lois to find Jimmy and Clark who are being held captive by gangsters. She embraces her adopted superhero role and saves the day. Unfortunately, a kryptonite-weakened Clark takes a bullet meant for Lois during the rescue, but he quickly recovers. Of course, he makes sure to not let a guilt-ridden Lois in on the secret. The “rescue” scene and the one immediately following it is available on YouTube (embedding has been disabled). You can also watch the full episode online at the website of the CW Television Network. So, when’s the last time your Facebook status saved a superhero? What are your top five strengths? I have previously blogged about how insightful my personal mastery course in the organizational leadership EdD program at Pepperdine was to me. The most paradigm shifting experience during that class was reading “Now, Discover Your Strengths” and taking the related online test to understand my top five strengths. When I first read the book in 2006 I received free access to the online “StrengthsFinder” test and the first five of 34 possible strengths in order of their relevance to me: 1. Learner, 2. Strategic, 3. Input, 4. Intellection, and 5. Relator. Meaning: I have a great desire to learn and want to continuously improve. The process of learning, rather than the outcome, is what excites me. Interpretation: I’ve always found satisfaction, purpose and identity as a “learner.” When I was younger I mistakenly measured my self-worth on my grades alone. As I matured I finally understood “the outcome of the learning is less significant than the ‘getting there,’ (Buckingham and Clifton, 2001, p. 107). I have worked to develop a healthier balance between academics and adventure. Likewise, when I was younger I was engaged in book learning exclusively, but have since identified an equal interest in “experiential education.” I don’t think I will ever satiate my desire to overcome a new educational obstacle. Lately most of my learning has resulted from my journey as a parent of two children who each have special needs. Application: My biggest challenge as a learner has been extracting myself from an educational environment and integrating into a professional setting — while still finding satisfaction and purpose. While I am a very good student, I often feel lost once I am no longer exclusively in that role. At positions in the past I frequently fond myself wanting to ask “why” when given an assignment while my superiors wanted me to answer “when can you get this done?” I feel a need to understand the underlying reasons for a project so I can break it down into logical, more easily understood components. I desire an occupation that feels more like an avocation — something for which which I can tackle an intellectual challenge, transform information into knowledge and apply it strategically to render a tangible, beneficial result. Meaning: I like to create alternative ways to proceed with a given task. Faced with any given scenario, I can quickly spot patterns and issues around which I can devise a specialized plan of attack. Interpretation: I have often defined myself as “a strategic thinker and creative tinkerer,” so it seems my initial perceptions about being “strategic” are correct. Beyond being a natural talent, I attribute this strength to a background in student journalism and years of being taught to deconstruct information. Even after I ventured into the world of consulting I find myself relying on the perfunctory “5 Ws” of journalism: who, what, when where, why. This strength has become particularly relevant as I’ve endeavored further into higher education. I’ve always had an aptitude to “sort through the clutter and find the best route,” (Buckingham and Clifton, 2001, p. 115), which is the foundation of my ability to learn and to communicate my discoveries in a clear and compelling manner. Application: While most of my professional past has involved creative areas, I’ve always had focused and practical mindset. My challenge is to find a professional situation that will reward me for this strength while engaging my others. The most feasible route is a career as a college professor (either in a full-time or adjunct capacity) while also remaining engaged with the “real world” from which the curriculum I teach is extracted. Note: when I initially proposed this idea, I had not yet begun teaching at the college level: I started my first online class with Axia College of University of Phoenix on June 18, 2007 and my first onsite experience began with DeVry University on October 30, 2007. However, once I understood my natural strengths I began working towards making the dream a reality. Meaning: I naturally crave more information, I need to know more. I like to collect and archive all kinds of information. Interpretation: Even as I wrote this paper I couldn’t resist the urge to check various websites for the latest events around the world. As Buckingham and Clifton (2001) explain, I “collect information – words, facts, books, and quotations,” (p. 105). Beyond collecting information I have a need to “connect the dots” between each individual piece and clarify the meaning of each to hopefully reveal a larger truth. Considering the mind of someone with a strength in ideation, “is always looking for connections [and is] intrigued when seemingly disparate phenomena can be linked by an obscure connection,” (Buckingham and Clifton, 2001, p. 102), my need for input shares some characteristics with ideation. Application: Information overload and analysis paralysis are weaknesses that can impugn the effectiveness of “input” and are issues with which I have dealt. The main obstacle with “input” as a strength is that it can be a solitary, passive endeavor. On the positive side, the big picture of my strengths reveals someone who is introspective, analytical, and clear minded, but who also enjoys close relationships. As a leader, I can share this strength with the people I lead to facilitate their specific needs. There is also an implication that someone with an “input” strength is also a good listener. On a related note, Max DePree writes in Leadership is an Art (1989), “The leader listens to the ideas, needs, aspirations, and wishes of the followers and then…responds…in an appropriate fashion,” (p. xxi). When powerless people feel those in power have a genuine interest in them those people feel hopeful. When the reverse is true, people are consumed with resentment and disdain for their leaders. Meaning: I enjoy a high degree of intellectual activity. I am introspective and enjoy engaging in intellectual discussions. Interpretation: I am an intellectual who enjoys “exercising the ‘muscles’ of [my] brain,” (Buckingham and Clifton, 2001, p. 106). However, I also have a strength in “intellection” which “may very well lack focus,” (Buckingham & Clifton, 2001, p. 106) but I do have a strong “strategic ability. I suppose this is an example of nature finding a balance: while I enjoy intellectual flights of fancy, I am also grounded by a need to remain clear and have my research serve a practical purpose. I think one of my most unique strengths is being an academic who can also take action, combining the theoretical with the practical. Application: Having “intellection” as a theme enables me to provide well researched and well organized information about the competitive landscape and well reasoned thoughts about options. I generally consider all available options and only take action when the best one reveals itself, but also I sometimes make decisions based on instinct alone. Realistically, in an average day, I must make hundreds of decisions and not all are worthy of intellectual investigation. I have been accused of “over thinking” decisions and taking too much time to choose a course of action. Maybe therein lays the difference between a manager and a leader? Whereas a manager must make immediate decisions based on the information available at that moment (in conjunction with the knowledge gleamed from past experience), a leader can afford to be more systematic and pensive. I am unresolved on this, but know that if “intellection” is a strength, it is anchored in a natural talent and therefore worth embracing. Meaning: I prefer to establish close relationships with others and I find deep satisfaction in working hard with friends to achieve a common goal. Interpretation:I find it interesting how, “the Relator theme pulls you toward people you already know. You do not necessarily shy away from meeting new people….but you derive a great deal of pleasure and strength….from your close friends,” (Buckingham & Clifton, 2001, p. 110). This theme reflects my focus on honesty and my preference for a smaller circle of friends. I am not superficial and don’t want my relationships to be. Although I don’t have many close friends I do have several hundred acquaintances. Confiding in a close cadre of colleagues is a powerful way of living; one that reflects the actions of many noted leaders who only had close friendships with a few very special people despite their being followed by thousands. Application: The most powerful component of this theme is that “you are comfortable with intimacy…for you a relationship has value only if it is genuine,” (Buckingham and Clifton, 2001, p. 110). I remember wondering in high school why I didn’t have more friends – not because I wanted more friends but because I thought I should have more. Even today, I am closest to my wife and our two children, even sometimes to the exclusion of my larger family. On one level my wanting to develop fewer, but closer relationships demonstrates a self-confidence I didn’t realize I had and a deep personal conviction that my friends are meaningful people to me. I value people and seek to validate them by acknowledging their individual strengths. The secret is to pick the right people with whom to entrust my friendship, but more importantly to not totally shut out anyone new who might prove to be a valued ally. So now that you know my greatest strengths, what are yours? DePree, M. (1989). Leadership is an Art. New York, NY: Bantam Dell.